Every so often our blog will feature products that are new or updated. We will highlight certain technical specs and give you a little information about the design and feel of each product. We will reserve our personal opinions (mostly) as it will be up to you to come try them on for yourself. A legendary brand from Finland that is making a big resurgence in the American running scene. Karhu is known for its "Fulcrum" technology that guide runners through their foot strike to keep forward momentum going and lessen the up and down bounce in a runners stride. Light and well cushioned for higher mileage training or the beginner just looking to run and feel well supported these updated models of the Karhu line are premium shoes for every runner. 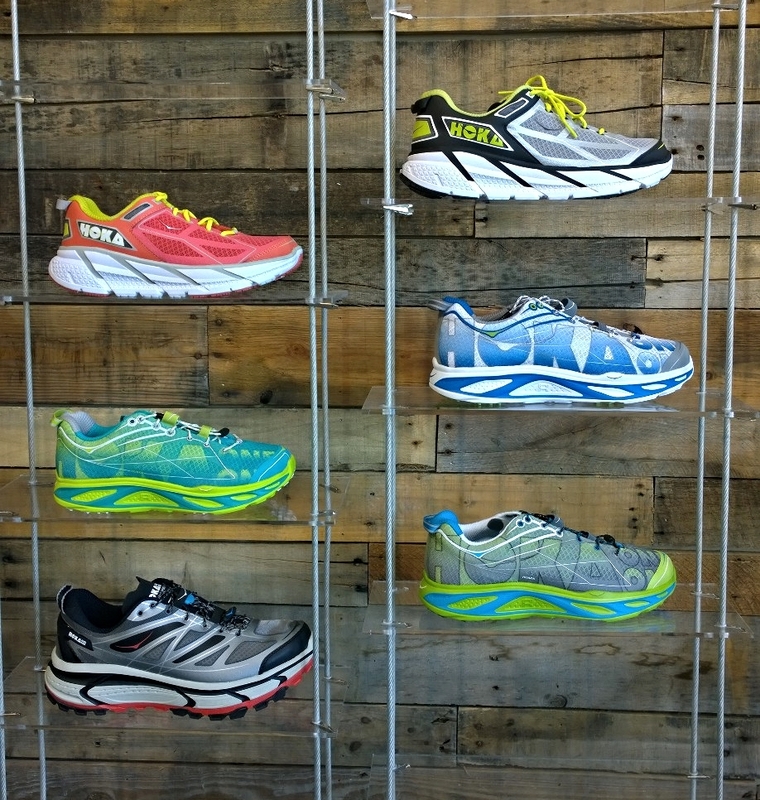 Hoka's maximal cushioning platform has changed the game for many athlete who push thier limits. From Ultra training to Couch to 5k Hoka's help eliminate impact from running so you can go further than you ever thought you could whether its your first mile ever or the last of 100 in 24hrs. These are latest editions to our Hoka lineup of maximal cushioning shoes include a racing flat, a new featherweight trainer, and a burly technical trail shoe. Trainer that premium super soft cushioning at an incredible weight. Technical Long Distance Ultra Trail Shoe. Bombproof with a fast and stable ride.